CONTINGENCY PLANS FOR a no-deal ‘hard Brexit’ were approved by Cabinet today. Taoiseach Leo Varadkar said the government has planned for two things – the scenario if the withdrawal agreement gets the green light, which includes the transition period, a single customs territory and the backstop. The second scenario is the no deal hard Brexit scenario, which Varadkar said the government does not think is likely. “But we must prepare it for nonetheless,” he said. In terms of recruitment of customs officers, 3,000 applications for 600 customs positions were received. The Taoiseach told the Dáil today that there are assurances from Revenue and the Department of Agriculture, Food and the Marine that the necessary recruitment is under way. Varadkar said several hundred customs officials will be in place in time for the March Brexit deadline, and the rest will be in place after that. What physical infrastructure might be needed at Dublin Port, Dublin Airport and Rosslare Europort was also discussed today. 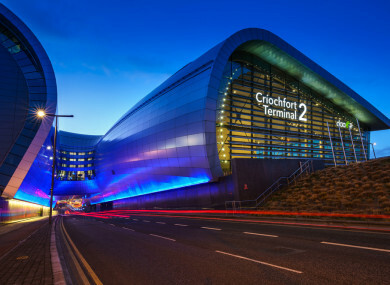 In Dublin Airport it would involve an upgrade to the customs and border services and at Rosslare Europort and Dublin Port it would involve physical infrastructure, such as parking areas for HGVs and examination stations. I have no doubt we can be totally prepared for a Brexit with a deal because we have the transition period and we know what will happen if there is no deal. We will have a backstop. It will be impossible for any country to be fully prepared for a no deal cliff edge hard Brexit but we will be as prepared as we possibly can be. Email “Contingency plans for a no-deal 'hard Brexit' scenario approved by ministers ”. Feedback on “Contingency plans for a no-deal 'hard Brexit' scenario approved by ministers ”.